To start off, this new package from Brabus is available on Coupe and Cabrio models that carry the designation of Prime, Passion, or Proxy. 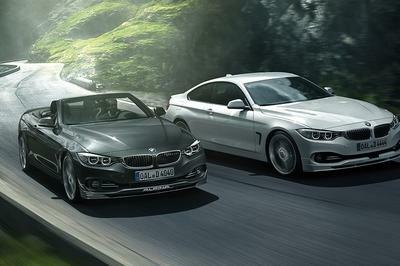 Both manual- and automatic-equipped models can be equipped with the new Sport package. 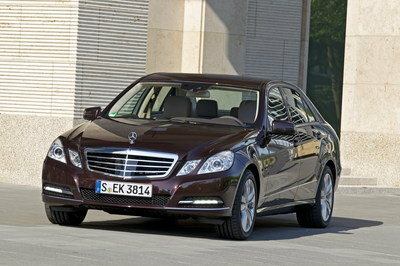 On the outside, Brabus threw in a new sport suspension system that drops the ride height by 0.4 inches. 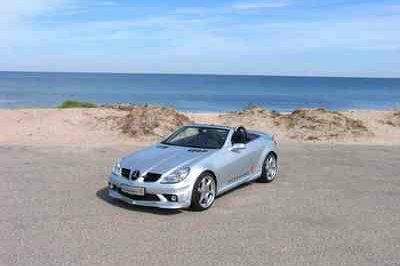 There are also stiffer sway bars and a new Brabus-tuned damping system. This should cut down on body roll when cornering and will likely give the car a somewhat stiffer ride than before. According to Brabus, the new suspension “ensures a sporty ride and improves handling and driving dynamics” so there is that. Further additions to the exterior include a set of staggered-fit Monoblock IX wheels that measure 17 inches in the rear and 16 inches up front. The wheels are finished in a matte grey and are wrapped in Yokohama summer performance tires. The rear wheels get 205/40-series tires while the fronts get 185/50-series tires. Brabus center gaps garnish all four wheels while a matte grey rear diffuser garnishes the rear end. 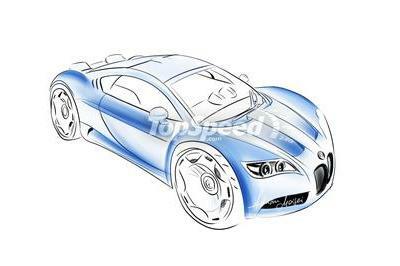 The front spoiler and rear apron are also finished in the vehicle’s original body color as part of this package. All told, it’s really not bad for exterior add-ons, but let’s take a look at the inside. Inside, Brabus adds in a three-spoke multifunction sport steering wheel with grey stitching. The shifter and handbrake lever also feature the Brabus logo as they should. Stainless steel sport pedals with rubber studs are installed to round out the interior package and models that feature the dual clutch transmission will benefit from the addition of paddle shifters behind the steering wheel because, you know, the Fortwo is really fast and all. This package will be available on all 2017 models in the designated trim levels and will come at a premium of $1,900 over the standard purchase price of the Fortwo, which starts out at $18,900 for the entry-level model. All told, I don’t think $1,900 is really all that bad of a price for everything that comes with this package, however, I’m not sure about the larger wheels in the rear. I mean seriously, this thing isn’t a hot rod. Hell, it takes 10 seconds for this oversized roller skate to hit 60 mph. I’m not so sure about the spirited driving either. I’ve driven one of these things before (after shoehorning myself into it, of course), and spirited driving wasn’t exactly on my list of things to do with this micro car. In fact, I found myself constantly worried about how badly the car – and me, for that matter – would be smashed if I got nailed by anything larger that a medium sized dog while driving. 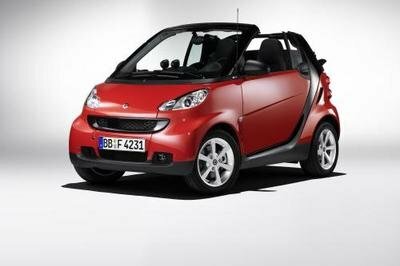 BRABUS is returning to the smart lineup in the U.S. market, featuring a sport package on fortwo coupe and cabrio models. 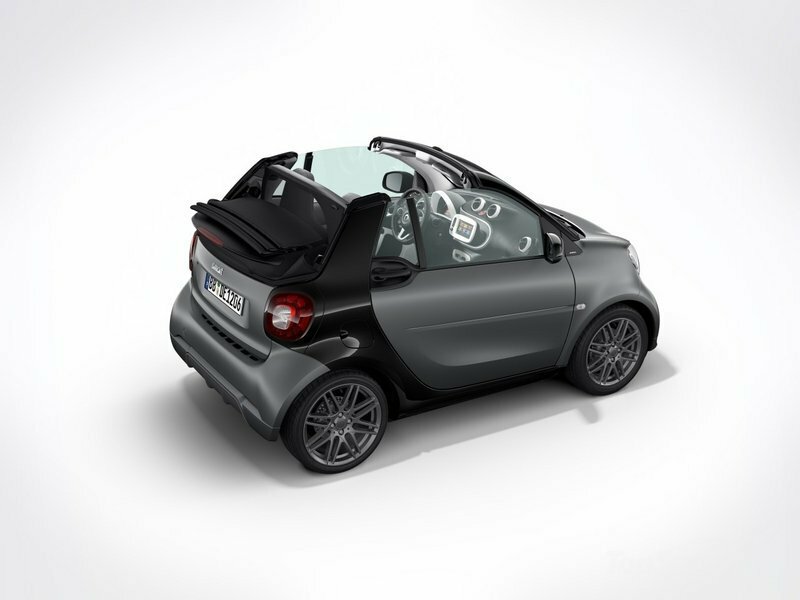 Available as a $1,900 option, the BRABUS Sport Package allows customers to further customize their smart fortwo with unique styling and a sportier driving experience. 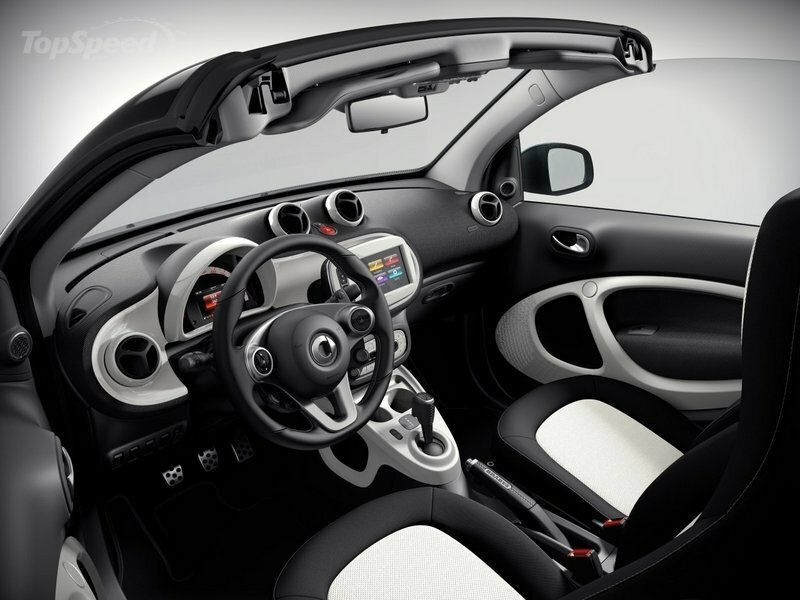 The introduction of the all-new BRABUS Sport Package expands the customization options on smart fortwo coupe and cabrio models. 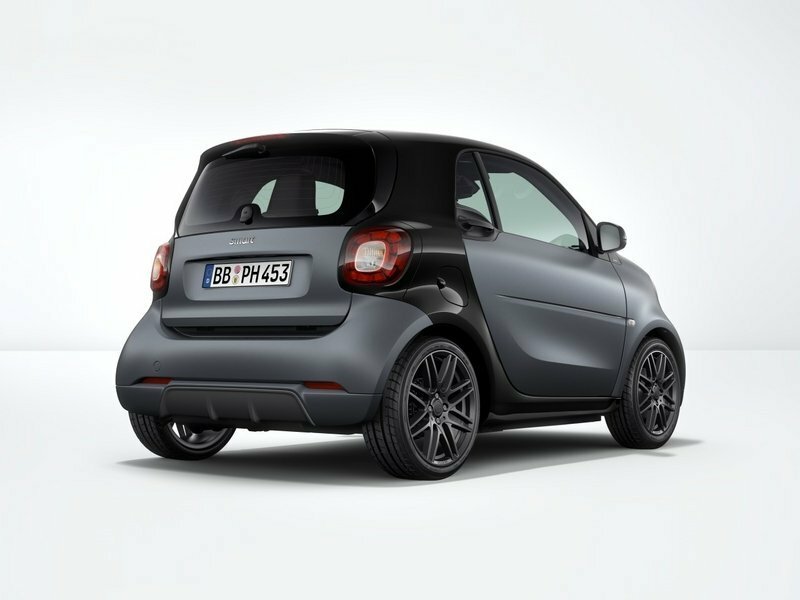 Exclusively available on the smart lineup, the BRABUS Sport Package is available for both manual and twinamic transmissions on passion, prime and proxy trim levels. For a sportier driving experience, the BRABUS Sport Suspension lowers the vehicle by 0.4 in (10 mm) compared to the standard smart fortwo. Additional suspension upgrades, including a stiffer anti-roll bar and new BRABUS-tuned damping system, ensures a sporty ride and improves handling and driving dynamics. The BRABUS Sport Package gives the car a more aggressive look with staggered fitment Monoblock IX wheels finished in matte grey paint (Front: 16" / Rear: 17"). These performance wheels are fitted with Yokohama summer performance tires (Front: 185/50 R16 / Rear: 205/40 R17). The BRABUS Sport Package offers unique interior and exterior styling options., including BRABUS wheel center caps, a matte grey rear diffusor and both a BRABUS front spoiler and rear apron finished in the vehicle’s body color. The interior features grey stitching on the BRABUS 3-spoke multifunction sport steering wheel and BRABUS logos on the gear knob and handbrake lever. The upholstery parallels the trim level—passion, prime or proxy—of the smart fortwo. The interior is further refined by brushed stainless steel sport pedals with rubber studs. Models equipped with the twinamic transmission also add steering wheel mounted paddle shifters. 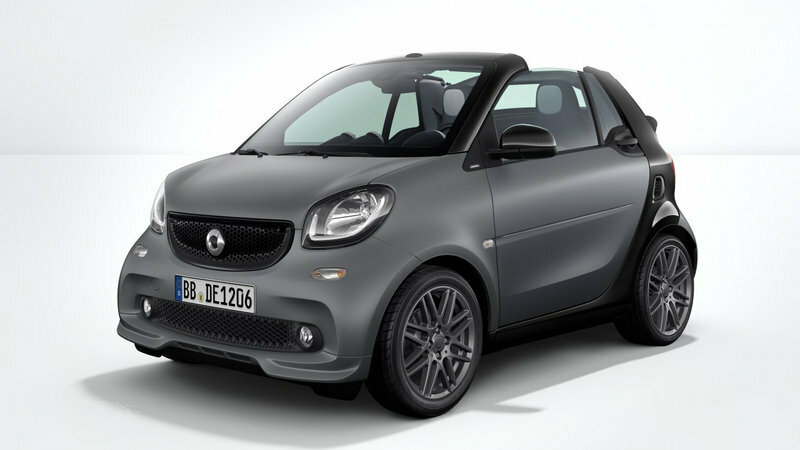 The BRABUS Sport Package will be available on 2017 smart fortwo coupes and cabrios starting this fall.